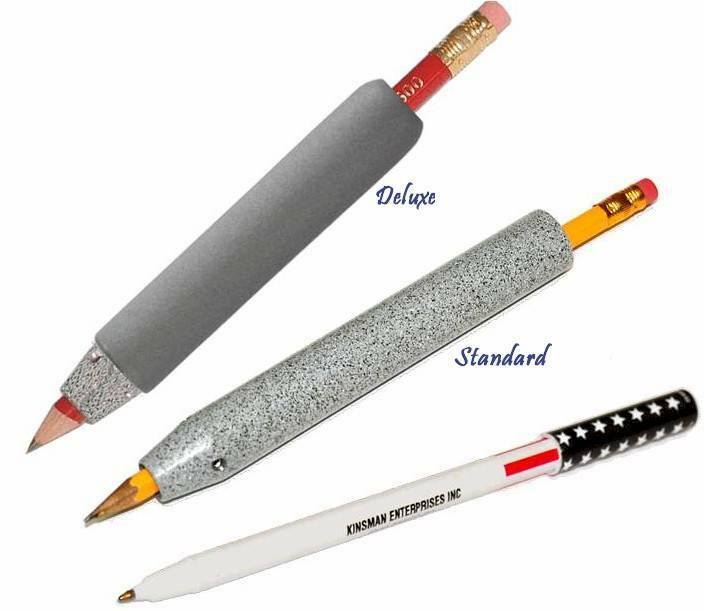 These Weighted Universal Holders help individuals with Parkinson's disease and other essential hand tremors to steadily hold pens, pencils and other round or irregular shaped objects. 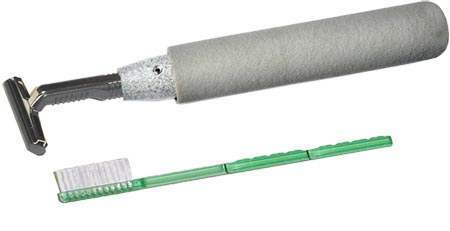 The heavy weight of the holder allows the user to write, draw, paint or brush their teeth independently. 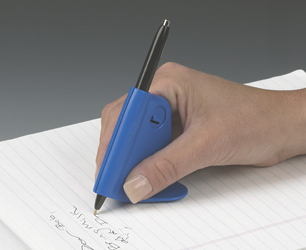 When using the holder for writing, it requires very little pressure if held in an upright position. The Weighted Universal Holder is available in two styles: Standard and Deluxe. Each holder will hold most round or irregular shaped items from 1/8 to 7/16 inches in diameter. The Standard holder weighs 6.5 ounces and is 3/4 inches in diameter. The Deluxe holder weighs seven ounces, is 1-1/8 inches in diameter and has a plastic vinyl cover. Requires adjustment with tiny screws that mother with shaky hands couldn't see, put in or tighten. Difficult to change from pen to pencil, etc, since screws have to be loosened and tightened each time.